The first time I ever did a large telephone class, about 10 years ago, I heard these words by one disgruntled participant who thought she was muted “She’s no Martha Beck”. It was my biggest fear. That someone would compare me unfavorably, to my mentor and teacher. You know what the unexpected part was? It only hurt for a minute. Then I felt indignantly outraged. Of course I’m not Martha Beck - I’m Bev Barnes! It’s easy to believe that you have to do something the same way that your Mentor or Teacher does it. But how do you ever become great if you are copying someone else’s style? When I first trained as a Life Coach, I tried really hard to do it perfectly. Back when I was trained, in order to get certified, we had to coach Martha. So, like a dutiful student I coached Martha using the tools that she invented. So boring that I decided to go off script using my intuition – following a feathery feeling that felt more fun than the way I’d been coaching her. I told Martha a dream that I’d had about the world transforming, a volcano erupting and all of us having to get off the island and get on a boat. I used this metaphor which was really meaningful for me to help her see herself more clearly. It was inspiration straight from the Divine. I wasn’t coaching the way that I’d learned to in my training, so I was concerned (freaking out) that maybe I’d messed up. My coaching genius wasn’t the tools I used – it was following where my intuition led me, going off script. This is what I want you to know. Your coaching genius is NOT how you use the tools you were taught. Your coaching genius is trusting yourself enough to be fully YOU. Are you being fully you or trying to imitate someone else? 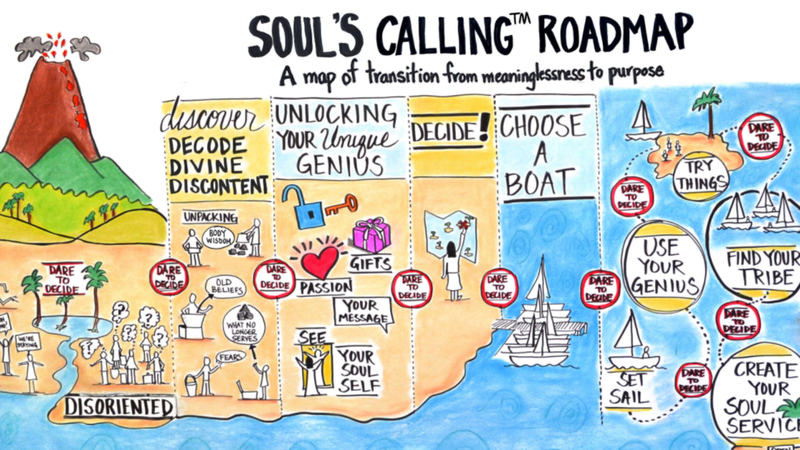 That image that I used in that coaching certification session became the Soul’s Calling™ Roadmap. It’s the process that is the foundation of my body of work, my coaching and my teaching. 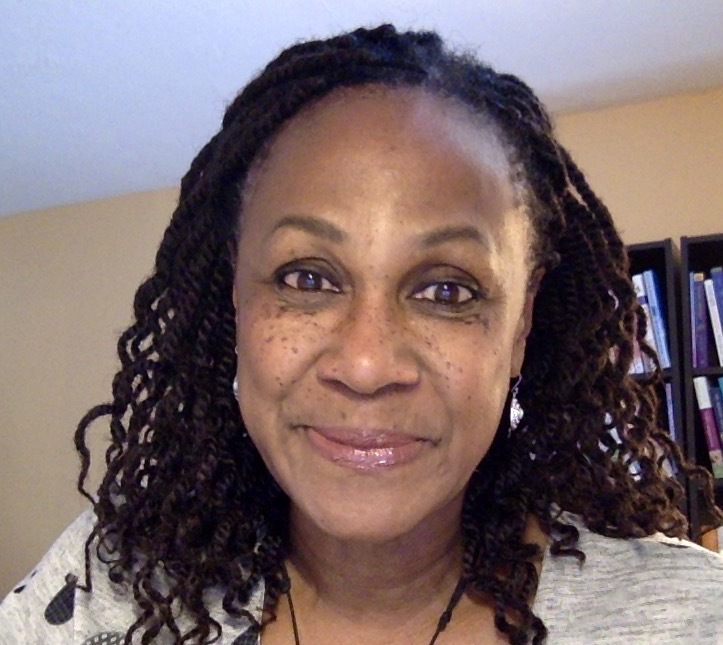 Now I teach empathic healers how to coach using my approaches and tools and I facilitate live retreats. Are you trying to be Martha Beck, or Marie Forleo or Oprah Winfrey or whomever you admire greatly? I've claimed my own genius and I really, really, want you to do the same! > To get my free mini-training on the Soul’s Calling Roadmap, go HERE. > To come to my next live retreat – in Pismo beach, go HERE - we're open for early registrations! > Soul’s Calling Coach Training for 2019 is currently full, but if you want to get on the waitlist, apply HERE.